We‘ve definitely finish the theme of the families of instruments, different instruments and symphony orchestra. Your final work consisted in building your own instrument with recyclable materials. You could choose the one you want with two conditions, which will use such material and obviously sound. We left a week of time for you to think what to build, what materials and how sound and the results have been excellent, really. It was a big surprise for me but overall hear you say that you have learned a lot from the oral presentations of the families of instruments and then preparing your individual presentation of your instrument to other colleagues. Now you can enjoy these videos that I have prepared for you to have a great memory of this great theme you have worked very good. In the first two videos you can watch your buildings and thirdly a tour of the classroom to see them all together. 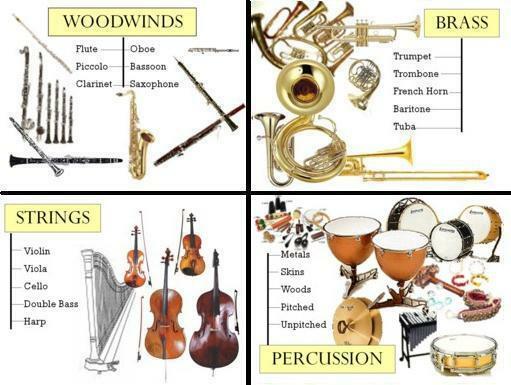 And of course in the following video are your classmates apart submitting your instrument is sounded. Esta entrada fue publicada en ¿Quieres aprender solo?, En Inglés, Interpretaciones del Alumnado, Los instrumentos musicales, Música y tecnología, Presentaciones, Recursos en Inglés, Vuestros Trabajos por inmamusic. Guarda el enlace permanente.